The Afghan Hound, originally bred to hunt large prey in both the deserts and mountains of Afghanistan, is a gentle sighthound dog breed. It is independent and indifferent despite its occasional peculiar and mischievous personality. The Afghan hounds’ looks are aristocratic and sophisticated with its thick and flowing tresses. 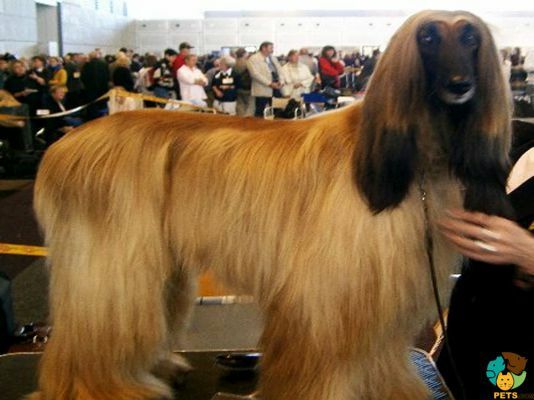 Due to its long and thick mane, grooming an Afghan hound is not easy. It weighs 45 to 60 pounds and stands at 60 to 75 centimetres. Its average lifespan is 10 to12 years. 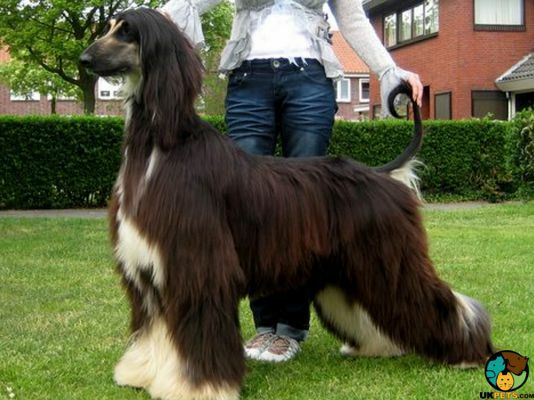 Are you interested in getting an Afghan Hound? Here is a brief background of this aristocratic-looking dog referred as the king of dogs. 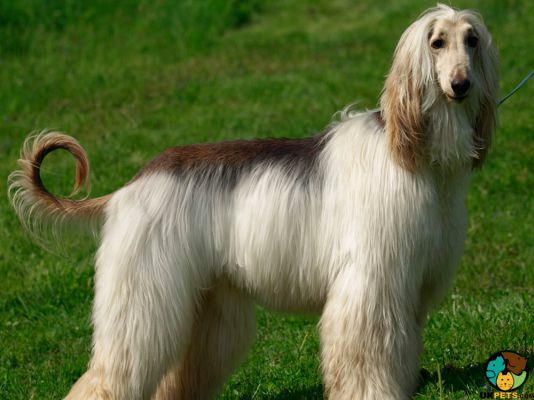 The Afghan Hound is one of the oldest domesticated dog breeds, dating back in the 19th Century in Afghanistan. It was originally developed to hunt mountain deer, boars, foxes, rabbits, and other animals. On the other hand, its gentle nature allowed it to be a devoted shepherd that protected its herd from predators. The modern purebred Afghan Hounds originate from the strain called “Bell Muray” brought to England in the 1920s. Some are believed to come from the group of Afghans brought by Mary Amps. 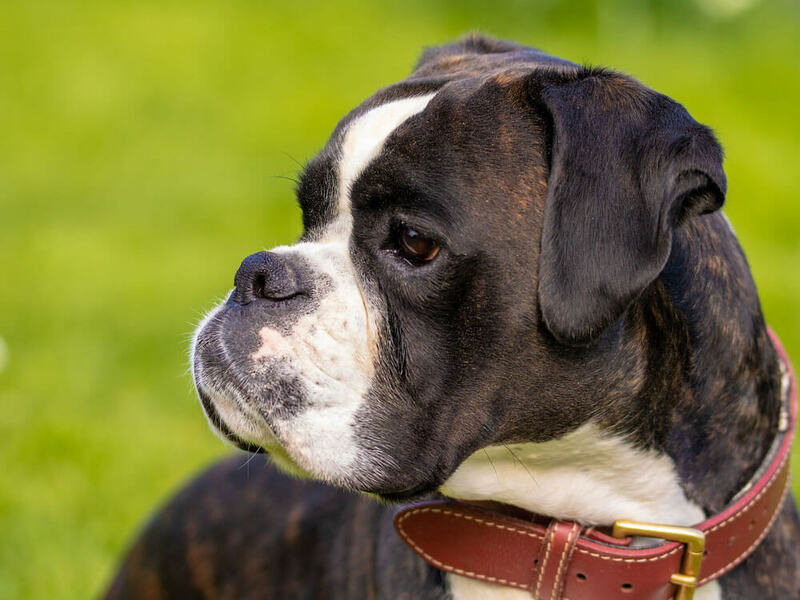 In 1948, a breed standard has been officially established, which remains true today. The Afghan has always been famed for its sophisticated appearance with its impressively thick flowing coat. Beyond its attractive exterior is a powerful and swift dog. It stands 60 to 75 centimetres at the shoulder and weighs around 45 to 60 pounds. The most common colours are black or golden although it also comes in blue, cream, silver, and white. It has an elongated head with dark muzzles, black nose, almond-shaped eyes, and high hip bones. When it comes to grooming, the Afghan is a high-maintenance hound. To preserve its regal look, its mane requires regular brushing and bathing. It should not only be clean but also mat- and tangle-free. 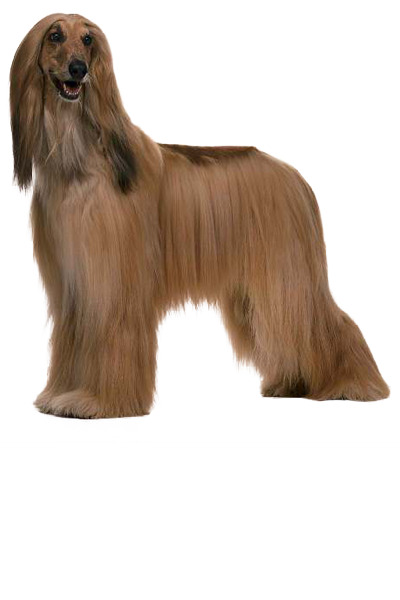 To achieve this, a dog-friendly silky show shampoo, conditioner and styling spray are needed. Remember to bathe it before brushing to avoid hair damage. When it comes to other grooming routines, cleaning the Afghan Hound’s ear is very important. It has ears that drop, which are highly prone to ear infection. Make sure to clean the ears weekly with a cotton ball and ask a veterinarian to recommend the best ear cleanser to keep ear infections at bay. As well, dental care is also crucial for the Afghan Hound to prevent bacteria and other organisms from attaching to the teeth and causing damage. It is worth noting that this breed is prone to dental problems such as gum disease if teeth are not regularly brushed. Often described as aristocratic, Afghan Hounds are energetic, playful, loyal, and loving. They are generally sociable with other dogs but have naturally strong hunting instincts. This breed can be playful as puppies but independent and a bit aloof as adults. It is not aggressive but would decide when it wants to be cuddled. On the other hand, it will also sulk if it feels it isn’t getting much attention. It thrives better with older and mature kids. Afghan Hounds are hunters, so they don’t get along well with small animals such as cats or rabbits, because of their natural instincts to chase. They are also very fast. Make sure that you have the Afghan Hound on leash most of the time, especially in open areas. It is quite hard to train because of its stubborn and independent nature. It also hates to be told what to do. To be successful in training, positive reinforcements and treats are needed. 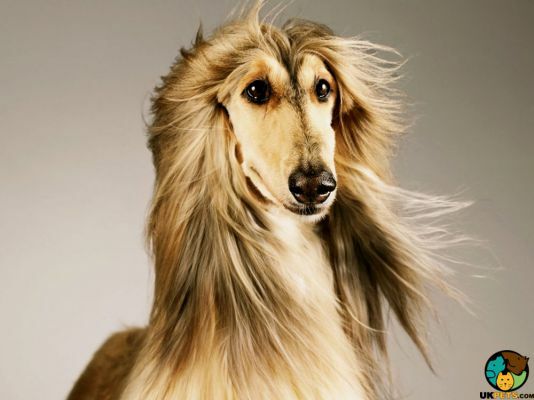 A typical serving for an adult Afghan Hound is 2 to 2.5 cups of excellent quality dry dog food per day. However, like in any type of dog, the amount of food depends on its age, size, build, activity level, and metabolism. Owners have to understand the basic nutritional needs of their Afghan as a breed. However, its individual characteristics should be considered as well. The main ingredient of an Afghan’s diet should be high quality meat. Read the label and make sure your dog food does not contain by-products and fillers like corn, wheat or soy. Also stay away from artificial colours, sweeteners and flavours. 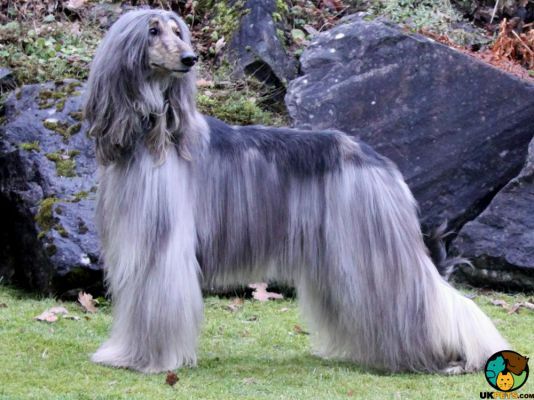 To maintain the Afghan’s silky, flowing coat, include sources of Omega 3 and Omega 6 fatty acids. Also provide it with food and/or supplements with DHA for brain development and Glucosamine for its joints. Afghan Hounds are generally healthy but are predisposed to allergies, cataracts, hypothyroidism, cancer, hip dysplasia, Dilated Cardiomyopathy, and Degenerative Myelopathy. This breed can lounge around at home but is quite active and requires a lot of exercise. However, it does necessarily need miles of running. Long walks and free time in a fenced yard will be enough and beneficial to its general health. Make sure to keep your fence sturdy as it is a known escapee that is hard to catch once it escapes. Afghan Hounds are known to be a high-maintenance dog breed. The real cost of getting one is more than its purchase price, which is estimated to be around £300 to £500 for a puppy. Its estimated cost over a lifetime is £27,100 - £30,800. If you’re willing to spend that much to own an Afghan for 12 years max, then make sure to buy from a reputable breeder. The last thing you want is to buy a puppy or an adult with history of abuse or potential health issues. Veterinary care is a significant expense which can quickly add up to £1,000 annually, excluding the treatments of health problems. However, there is a way to offset some veterinary costs when you get a pet insurance with a lifetime policy. Insurance will set you back £30 to £50 a month. 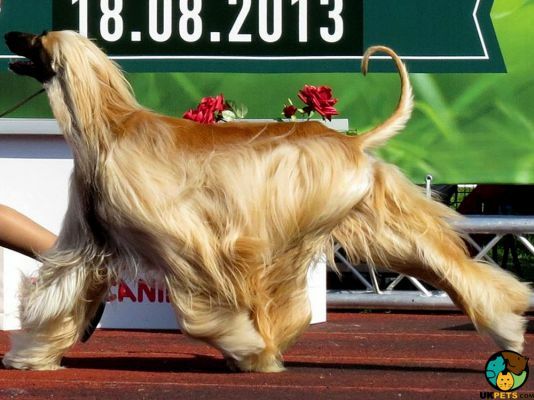 Is an Afghan Hound Right for You? Afghan Hounds are tall, slender with a sophisticated look. They are extremely athletic and at the same time, graceful jumpers. Their long flowing coat is difficult to groom. Afghan Hounds are gentle with people and other dogs. They don’t get along well with smaller pets. Afghan Hounds are intelligent but difficult to train.